Dissatisfied with clunky, component level power switches? 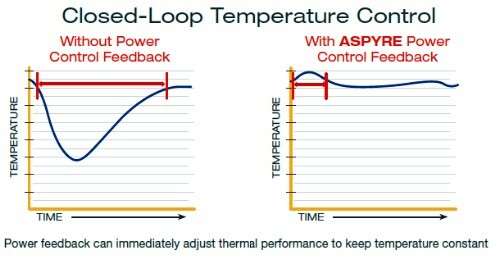 Watlow’s ASPYRE® is an intelligent line of power controllers that deliver breakthrough thermal performance. 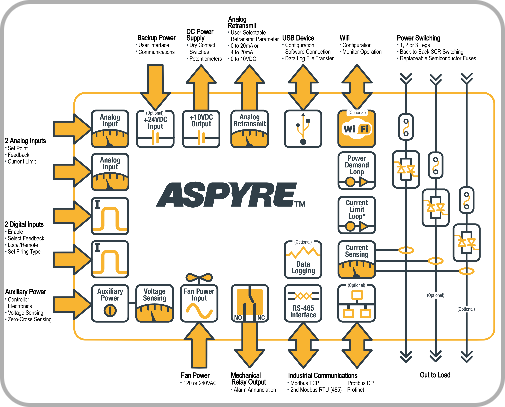 Unlike basic on/off switches, ASPYRE provides integrated technology making system performance accessible in an easy-to-use, robust design giving you extended asset life and a competitive edge. The heater bakeout feature protects the heater on startup, eliminating labor and time associated with inspection of wet heaters. 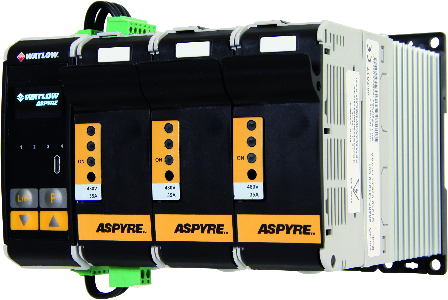 This power controller family features multiple advanced microprocessor-based firing and control mode algorithms. 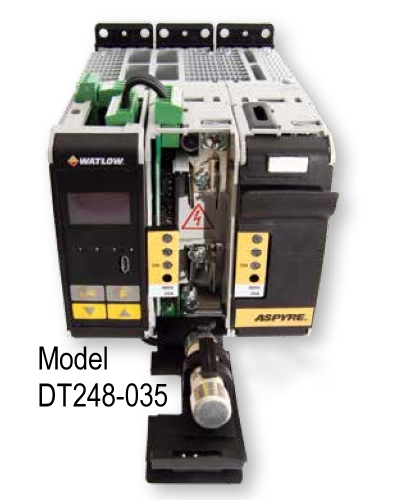 Combined with diagnostics and several communications options the product enables equipment and factory automation. 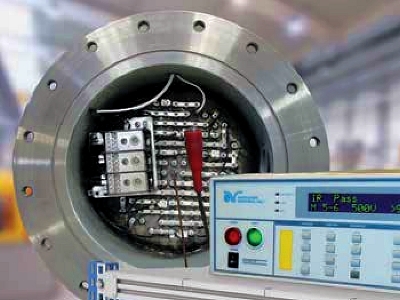 c-UL 508 approvals shorten project schedules, agency testing and expenses by ensuring safety, code compliance and power protection within industry accepted standards. 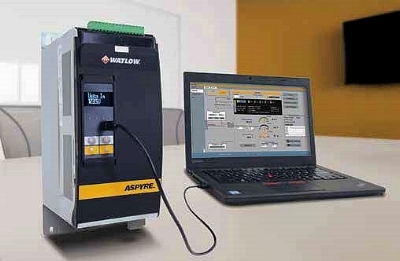 Enable factory and process automation with connectivity access to process and equipment data using Modbus® RTU, Ethernet TCP, WiFi, Profibus, Profinet, and USB device (configuration and data file transfers). 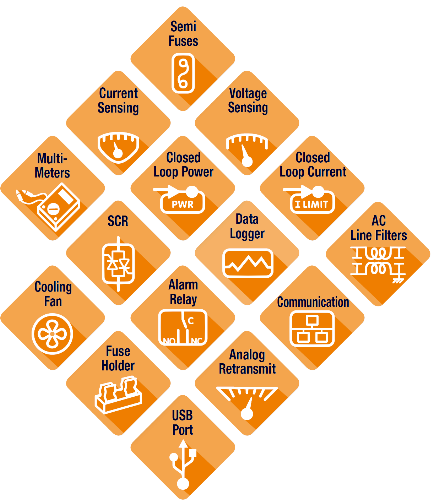 USB connection and user interface allows you to program configuration settings easily and safely, allowing the high voltage controller or system panel to be turned off while configuring, eliminating high voltage work. 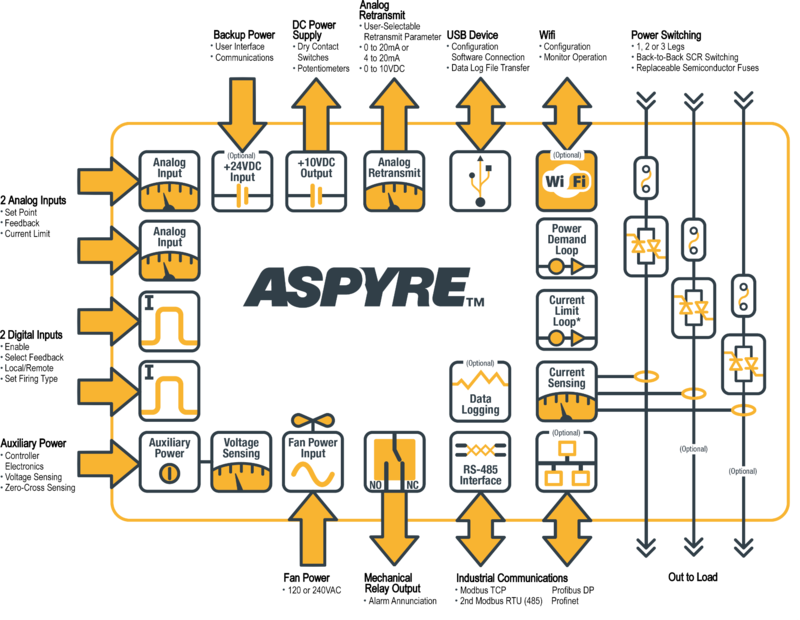 Elevate your system with Watlow's new ASPYRE® - an intelligent power controller family that simplifies your application while offering cutting-edge features. Agency compliance - UL®, CE, RoHS, W.E.E.E.